East Coast Greenway in Massachusetts The route enters Massachusetts from the north in Salisbury, where it is primarily on-road until Boston. Heading west from Boston to Waltham, the ECG follows the Charles River Bikepath. 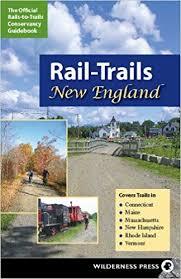 From there, the future Mass Central Rail-Trail will take ECG users to just north of Worcester. From Worcester to the Rhode Island line, the ECG follows the Blackstone River Bikeway in an historic region that was the birthplace of the American Industrial Revolution. An alternate route is being developed to directly link Boston and Providence, RI.